Everyone who owns and uses a vehicle on the road must keep their vehicle in a suitable operating condition. The MOT test checks that vehicles meet road safety and environmental standards. The first MOT test for a vehicle is required when it is three years old, then every year after that. However, there are different rules if it is used as a taxi. Book your M.O.T with us today, contact us on 0118 983 2822 or look on our 'Contact Us' page for other contact details. The MOT certificate confirms that at the time of the test the vehicle met the minimum acceptable environmental and road safety standards required by law. However, this does not mean that the vehicle is roadworthy for the total length of time the certificate is valid and has no guarantee of the general mechanical condition of your vehicle. Also, the test does not cover the condition of the engine, clutch or gearbox. The MOT looks at some important items on your car to see that they meet important legal requirements at the time of when the test is taken. To check that it is free from damage in specific areas and there are no sharp edges likely to cause injury. To ensure that it has no leaks and the fuel cap fastens and seals securely. The vehicle has to meet the requirements for exhaust emissions, dependent on the age and fuel type of the vehicle. It is important that it is secure, complete, without serious leaks and silences effectively. All belts installed are checked for type, condition, operation and security. All compulsory seat belts must be in place and safe to use. To ensure that the front seats are secure. Front and rear backseats can be secured in the upright position. It is important that the latch securely in closed position. The front doors should open from inside and outside the vehicle incase of an emergency. Rear doors may need to be opened to gain access to testable items. To ensure that he minimum number of mirrors are on the vehicle and are in acceptable condition and secure. Boot or tailgate can be secured in the closed position so that it can't open unexpectedly. To ensure that they are working correctly. Their condition, operation and performance (efficiency test). The condition, security, size, type and tread depth of each wheel must meet the requirements. Spare tyres are not inspected. To check that their condition, security, characters correctly formed and spaced. Their condition meets the requirements as well as their operation and security. Headlamps are tested for aim. To ensure that the latches secure in the closed position. Its condition must be checked to ensure that the drivers view of the road is clear and not effected. Must operate correctly and is of a suitable type for the vehicle. Must meet the requirements and are of a satisfactory condition and operation. Is on vehicles first used on or after 1 August 1980. Not more than one different VIN is displayed except on multistage build vehicles. 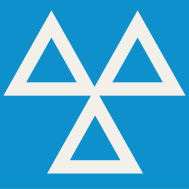 The blue three triangles logo is displayed to identify the test stations/garages across the country authorised as MOT test stations. The maximum fee for the test must be displayed on a poster inside every test station. The station, however, can charge less than what is on the poster if they wish to do so. Authorised MOT test stations/garages have test bays where they carry out the test, using a range of equipment that meets the required specification for MOT testing. The standard test procedures are laid out in an inspection manual that the test station should make available on request. If your vehicle has failed the test, you will be given a failure document with reference to this manual. All MOT testers have been on a training course with the Vehicle and Operator Services Agency (VOSA) and their test results are checked regularly. VOSA (Vehicle and Operator Services Agency) is the government agency responsible for supervising the MOT scheme.